[S7] Unknown author, Evening Auburnian (n.p. : n.pub., unknown publish date). [S10] Unknown author, North Dakota Bureau of Land Management (BLM), Url: http://ftp.rootsweb.com/pub/usgenweb/nd/stutsman/land/… (n.p. : n.pub., unknown publish date). [S13] Unknown author, Dickey County Land Management Records (n.p. : n.pub., unknown publish date). [S14] Ancestry.com, 1810 United States Federal Census (n.p. : Online publication - Provo, UT, USA: Ancestry.com Operations, Inc., 2010. 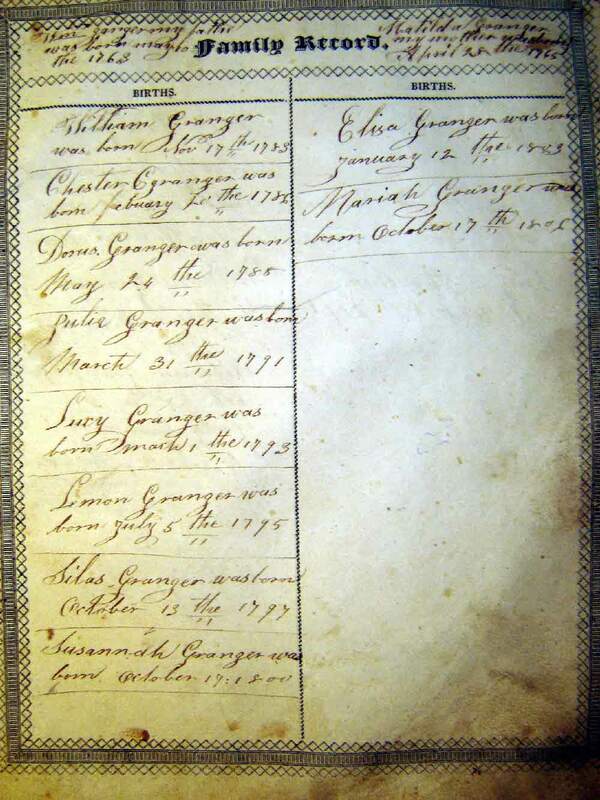 Images reproduced by FamilySearch.Original data - Third Census of the United States, 1810. (NARA microfilm publication M252, 71 rolls). Bureau of the Census, Record Group 29. Nationa, unknown publish date). [S16] Ancestry.com, 1820 United States Federal Census (n.p. : Online publication - Provo, UT, USA: Ancestry.com Operations, Inc., 2010. 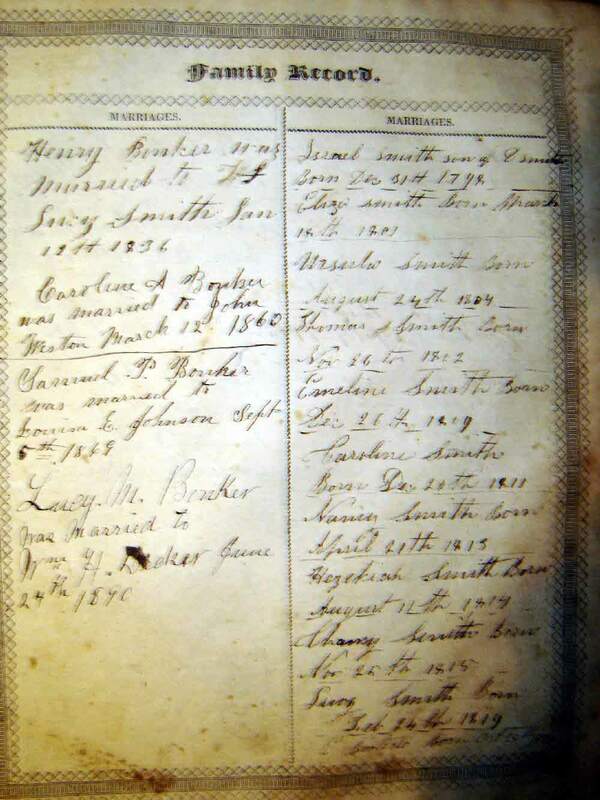 Images reproduced by FamilySearch.Original data - Fourth Census of the United States, 1820. (NARA microfilm publication M33, 142 rolls). Records of the Bureau of the Census, Record G, unknown publish date). [S19] Ancestry.com, 1800 United States Federal Census (n.p. : Online publication - Provo, UT, USA: Ancestry.com Operations Inc, 2010. 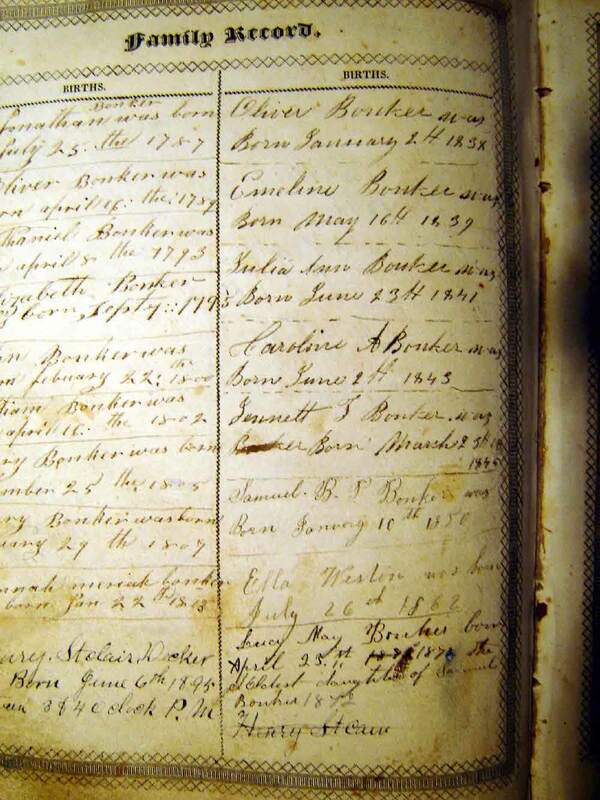 Images reproduced by FamilySearch.Original data - Second Census of the United States, 1800. (NARA microfilm publication M32, 52 rolls). Records of the Bureau of the Census, Record Grou, unknown publish date). 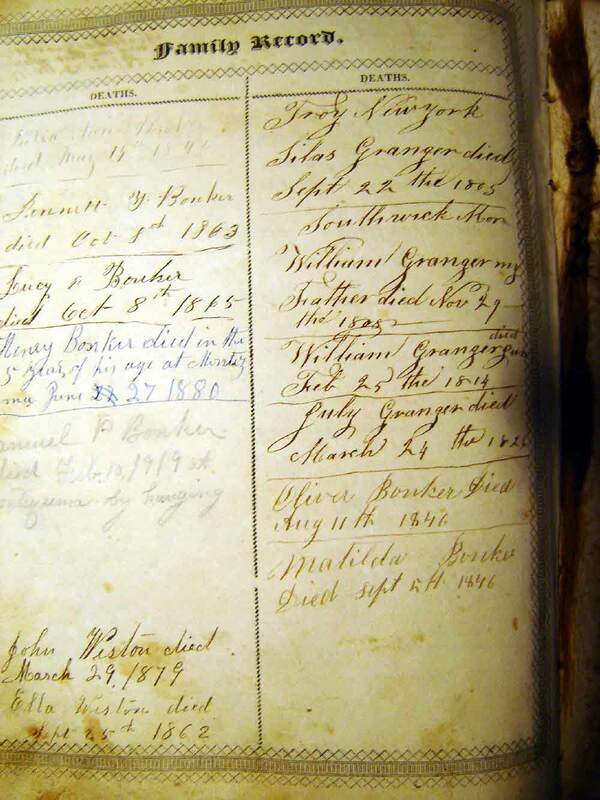 [S21] Unknown author, Cayuga County Deeds (n.p. : n.pub., unknown publish date). [S22] Unknown author, Cayuga County Independent, Location: Auburn, New York (n.p. : n.pub., unknown publish date). [S24] Unknown author, Quinter Cemetery, Url: http://skyways.lib.ks.us/genweb/gove/cemetery/quinter.html (n.p. : Gove Co. Genweb transcription, unknown publish date). [S25] 1885 Kansas Census, Record Type: Kansas State Census, online. [S29] Unknown author, Weekly News and Democrat (n.p. : n.pub., unknown publish date). [S30] The Auburn Bulletin, Auburn, NY, unknown cd. [S39] Unknown author, Type: Land purchase Name: WILLIAM M BUNKER Land Office: DETROIT Sequence #: 1 Document Number: 7916 Total Acres: 80 Signature: Yes Canceled Document: No Issue Date: September 1, 1834 Mineral Rights Reserved: No Metes and Bounds: No Statutory Reference: 3 Stat. 566 Multiple Warantee Names: No Act or Treaty: April 24, 1820 Multiple Patentee Names: No Entry Classification: Sale-Cash Entries Land Description: 1 W€SW MICHIGAN-TOLEDO STRIP No 2 S 6 E 11 (n.p. : n.pub., unknown publish date). [S41] Compiler: Cayuga County Genweb, Aurelius Death Records, Url: http://web.archive.org/web/20020215010014/http://… (n.p. : n.pub., unknown publish date). 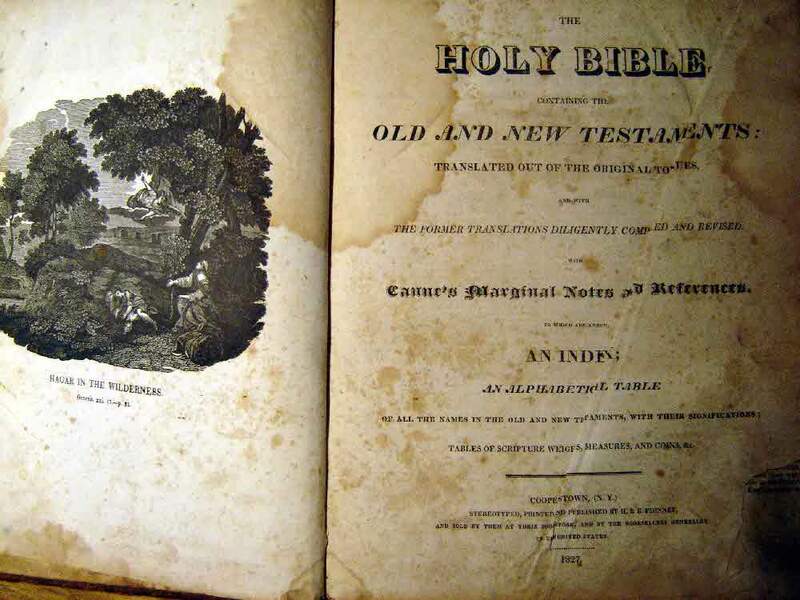 [S42] Unknown author, Presbyterian Church of Binghamton, Url: http://www.rootsweb.com/~nybroome/brchrec1.htm (n.p. : n.pub., unknown publish date). [S43] Clara Bidwell Witcomb, Clara Bidwell Witcomb's Scrapbook (n.p. : Unknown, Unknown, unknown publish date).